We’re delighted to bring you the brand new single by Be Quiet. Shout Loud! No Hope, which is available digitally now. Just released, the new track is a chant-along, pop-rock anthem and is the band’s defiant rallying cry against the current political divide. No Hope is the first single from the upcoming EP Another Commotion, which is released digitally and on limited edition coloured marble effect vinyl on Friday 26th October. 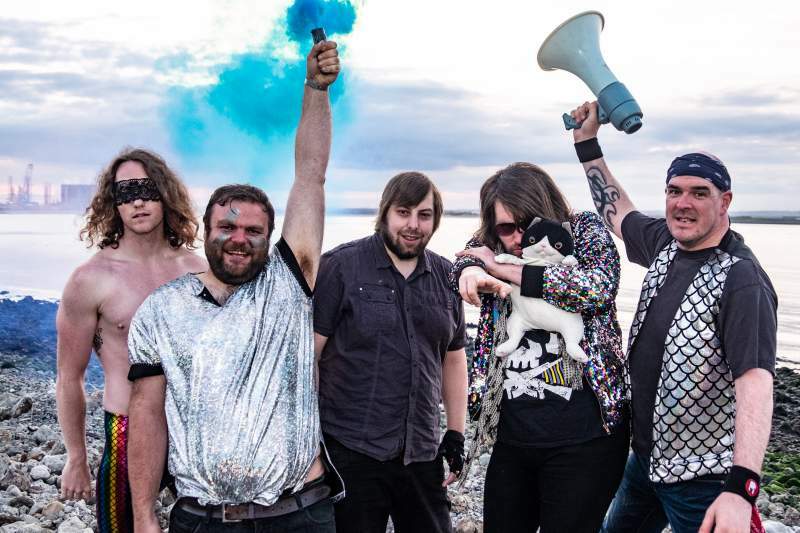 You can check out the new video exclusively below and it’s a whole load of fun from the disco rockers, against a lush backdrop. It’s a real catchy track from the immensely intelligent songwriters and current NARC. cover stars. Enjoy the vid and get used to this little banger of a song being stuck in your head all day.